Han began her fashion career while living in New Zealand. She learned to knit there, and immersed herself in the history of textiles. She and her husband relocated to Nashville in 2013 and launched the Han Starnes label shortly after that. Today, all garments are designed and produced on vintage knitting machines in the designer’s home studio in East Nashville. Han’s love of textiles means there is great attention placed on quality and sustainability. She can trace a knit sweater all the way back to the wool grown in Wyoming and spun in Nebraska. This is the opposite of “fast fashion.” We don’t often think about the origin of the items we purchase. However, there is something extra special about a garment when you have a personal connection, when you know who made it, or where it came from. 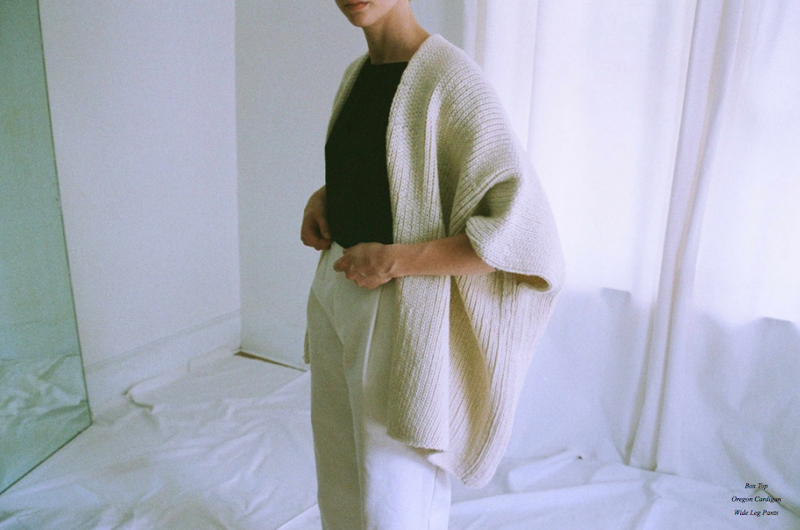 Han Starnes strives for that connected experience between the people who make and wear their clothes. Here, Han answers 12 questions about her time in New Zealand, her love of textiles, Nashville and more. We began first in textiles, working with hand-spun yarn and knitwear in New Zealand. I got involved with the fashion industry for the first time there, in 2011. Three years ago, my husband and I decided to move back to Nashville – it’s our home. Today, the label uses a lot of what we learned and experienced in New Zealand. Where did your love of textiles originate? When I was younger, my mother was always working with her hands, making things for us kids. I think it started somewhere there. I have always had a deep attraction to textiles, though. There’s something incredible about the tactile, real textures, colors and form. I've always been interested in fibers and fabrics that are unblemished and raw, showing their inherent beauty and the journey of the fiber. How did the time you spent in New Zealand influence your design aesthetic? I learned about wool and hand-spinning and other handwork textile practices while I was there. It was during that time that I knew that I had stumbled upon something great. I learned a lot, and I think within my time there I further developed my design aesthetic, which is sophisticated and smart clothes that are designed to be worn everyday and on special occasions, in your hometown or internationally. Is New Zealand where you learned to spin wool by hand? Yes. I was mentored by a group of women who have been spinning for over 50 years. They were very open and generous to me, teaching me most of what I know about hand-spinning today. Talk about your process of selecting textiles and the importance of using quality materials and production. Sustainability and quality are very important to me. So is the story of a garment. 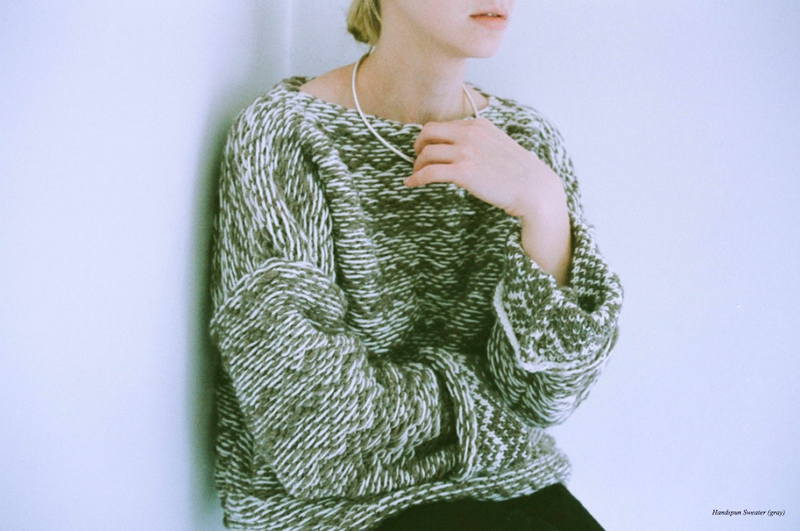 We knit our sweaters from wool that's grown in Wyoming and spun in Nebraska. We partner with non-profits based in western India that teach women to spin and weave cotton and silk by hand; many of our textiles are made there, just for us. Our jersey fabric is made from organic cotton that's grown in Texas and spun and knitted in North Carolina. Do you have a favorite piece in your current collection? I really like the Jersey Dress. It’s made from a U.S.-grown organic cotton that’s perfect for fall weather. It has a slight turtleneck, a relaxed fit, and falls right to the knee. We sell it in two colors: Ash Gray and Black. What made you decide to settle in Nashville? We came home. I grew up in Louisville; my husband is from Nashville. And now, most all of our family lives close to Nashville. Plus, this is a great city to start a small business. How does living in Nashville and being around so many creative people inspire your designs? think living in Nashville is good for the label, but it’s hard to say how it affects our designs. There is a certain supportive community that encourages us to keep going and keep creating, which is quite lovely. Describe the Han Starnes women? We will release our SS16 collection early next year. And we’re currently designing our FW16 collection, which we are very excited about. And of course, next week we have a pop-up at Wilder, from Friday, November 20 through Sunday, November 22. There’s an opening party on Friday night from 6 to 9 PM that everyone is welcomed to attend. Tell us more about the short film you debuted recently? We are showing some footage that our friend, the photographer and director Laura Dart, took during our FW15 photo shoot in New Zealand, which was in February. The story of our label is very tied to this place, so it was special being able to go back and shoot the collection in some sentimental locales. Here’s a short list: Rolf and Daughters, Crema, Marche, Mas Tacos, and the Belcourt Theatre. Post originally published on 12th & Broad. Photos from HanStarnes.com. On location photos by Laura Dart.